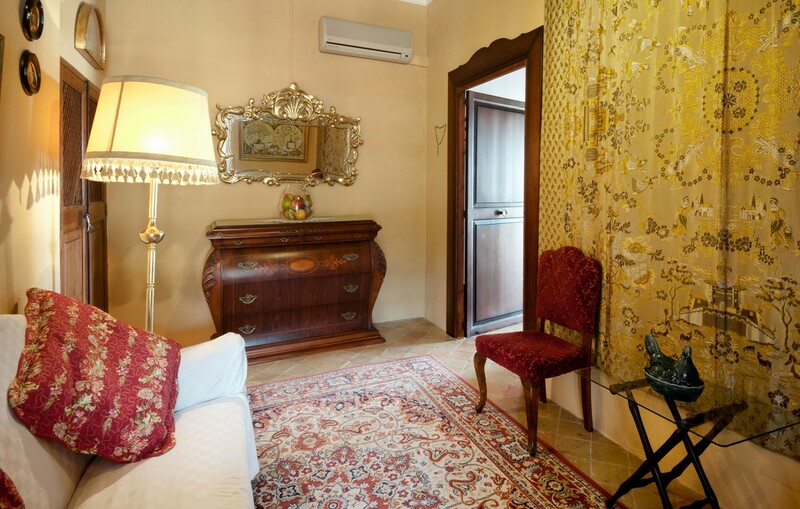 Our hotel offers different room categories: double rooms, apartments, a " double " apartment and a " deluxe " apartment. 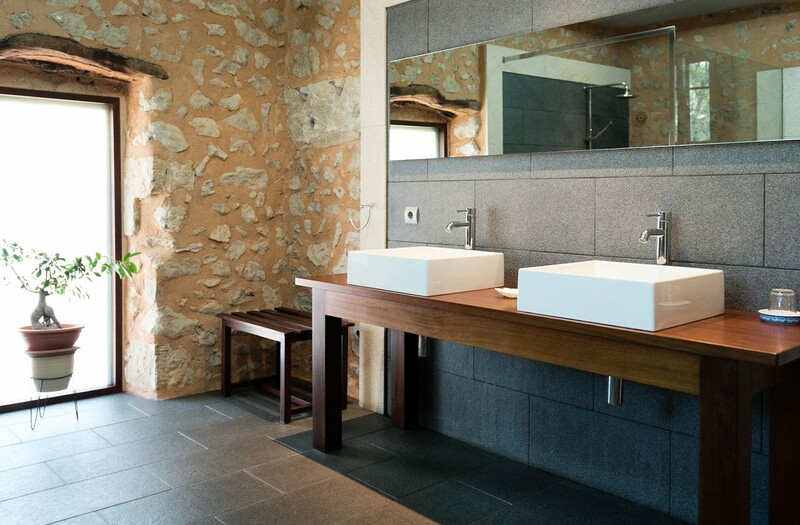 All our rooms and apartments combine the essence and tradition of the Majorcan finca lifestyle with the conveniences of modern life and all this embedded in the peace and beauty of the enchanting Majorcan countryside. 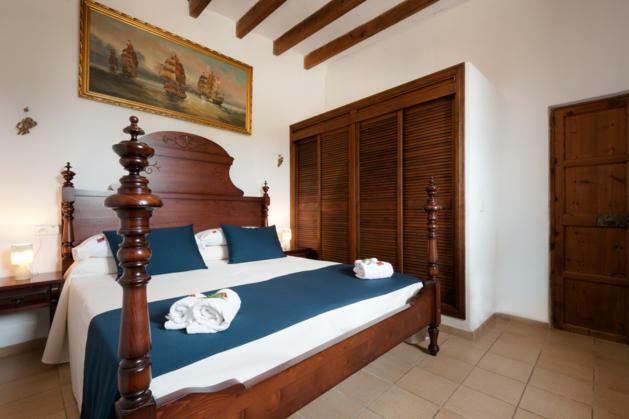 The newly refurbished double rooms on " Son Sama " preserve the traditional Mallorcan style in a modern way and are designed and equipped for your relax and comfort. They have twin beds, a bathroom, a wardrobe, a fridge, a flat screen TV (with Satellite TV) and air conditioning (hot / cold) as well as free Wi-Fi. Enjoy a family atmosphere with all the amenities at your disposal. Each of the " Son Sama " apartments is characterized by its own style - all designed to guarantee an outstanding stay, peacefulness and well-being. Our apartments offer one bedroom with twin beds or a double bed, a bathroom, a fully equipped kitchen, a living/dining room and a terrace. 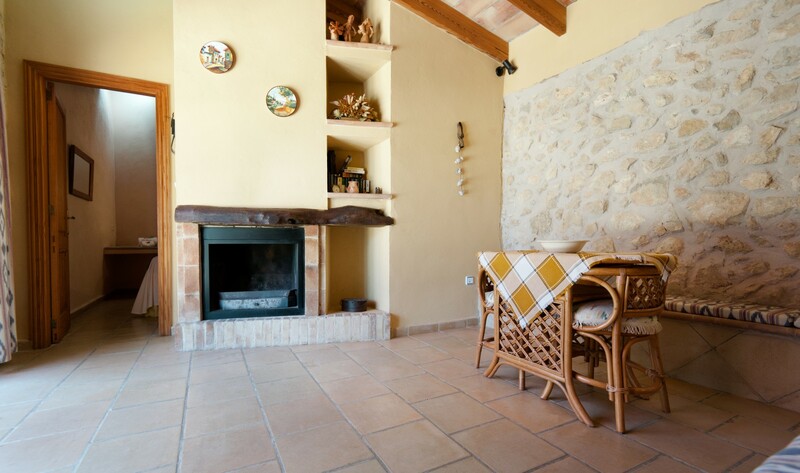 A fridge, a wardrobe, a flat screen TV (with Satellite TV), air conditioning (hot/cold) and free Wi-Fi are available and on request we also offer you an apartment with a fireplace. Experience the ultimate relaxation in this cozy ambience surrounded by nature. Our "double" apartment is the ideal place to relax for the whole family. 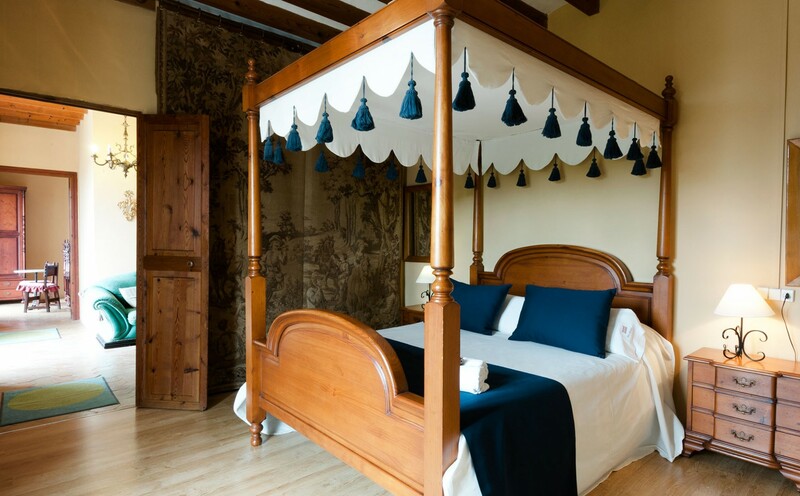 This traditional Mallorcan-style, modern apartment is designed and equipped for your greatest relaxation and comfort. It features an open kitchen with dining area, two bedrooms with a bathroom "en suite " and a living room with a fireplace. 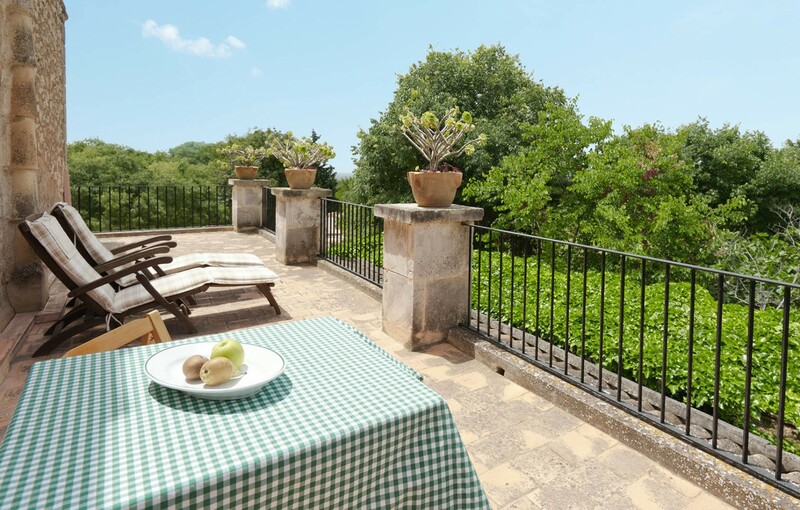 It offers a scenic terrace , from which you can let your eyes wander over the beautiful south of Majorca. 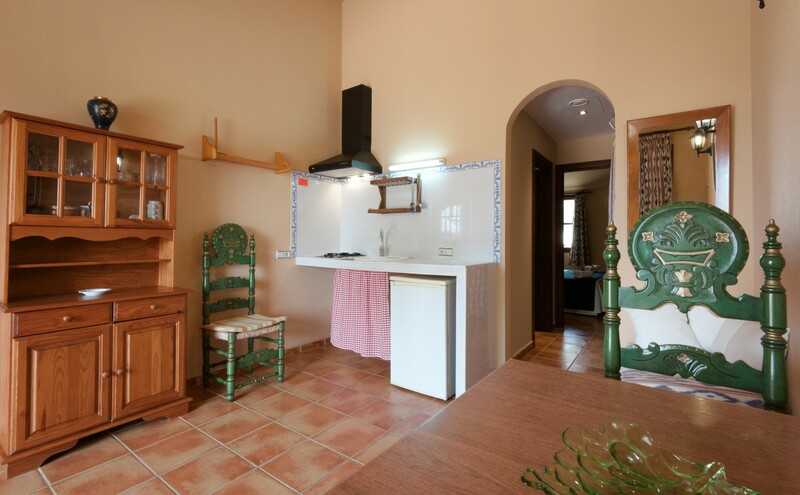 The " Double " apartment has a fully equipped kitchen , a fridge, wardrobes , a flat screen TV ( with Satellite TV ), air conditioning ( hot / cold) and free Wi-Fi. 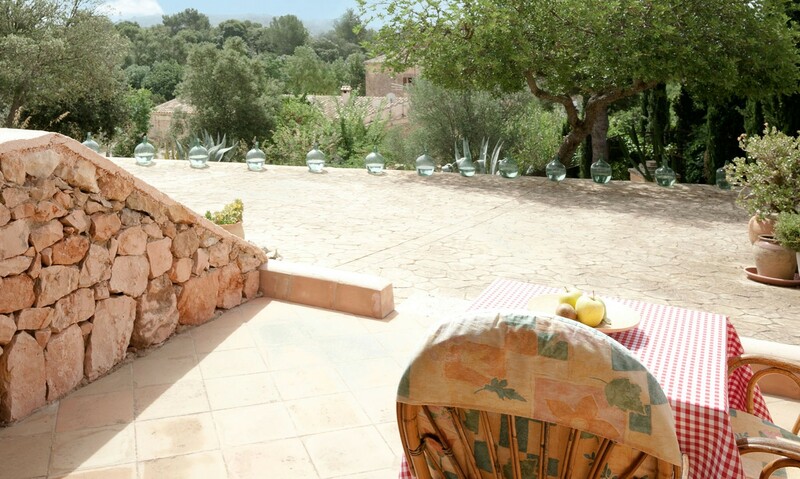 Fun and relaxation for the whole family amidst the beautiful countryside of Majorca. 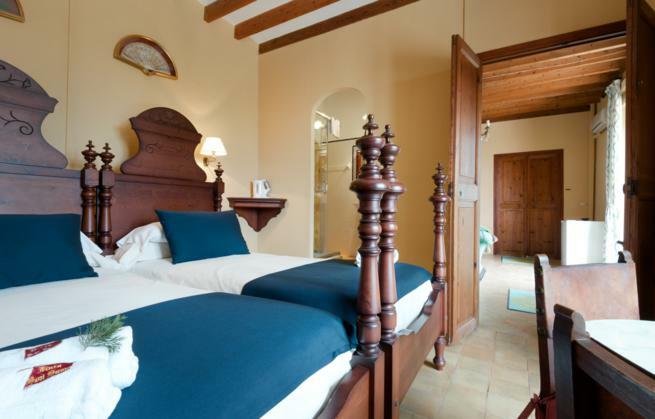 “Son Samà”'s " deluxe " apartment is located on the upper floors of the Finca and combines comfort and exclusivity in a very special way. Experience the unique combination of idyllic atmosphere and design! This apartment offers maximum comfort. 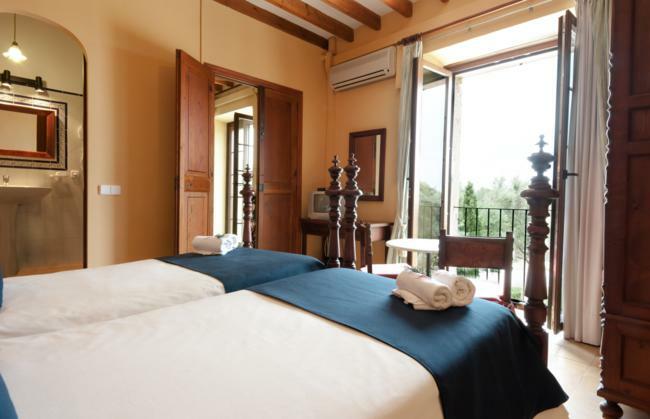 It features a double bedroom, a bathroom, a fully equipped kitchen, a living/dining room and a terrace . 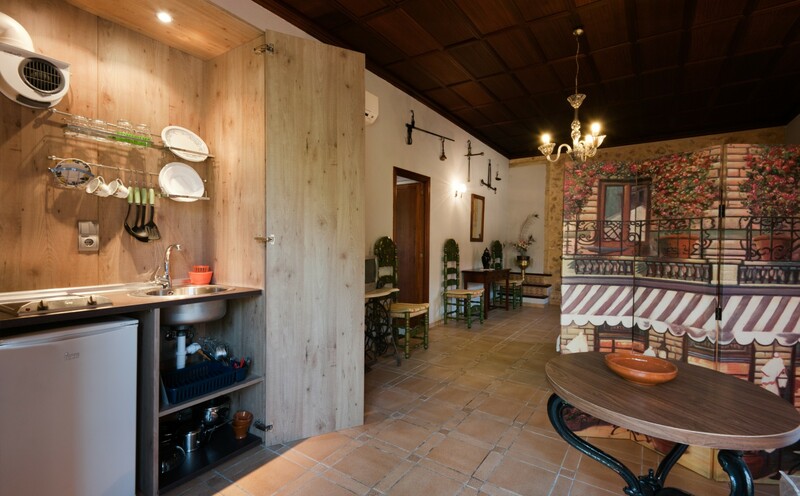 The apartment is equipped so that even people with reduced mobility cope well in it. A fridge, a wardrobe, a flat screen TV (with Satellite TV) , air conditioning ( hot / cold) and free Wi-Fi are available. 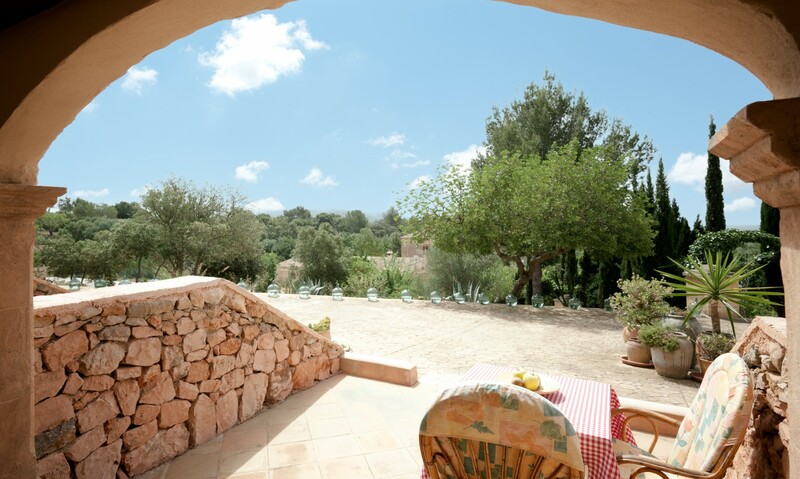 Enjoy exclusivity and tranquility surrounded by the most beautiful Mallorcan nature!